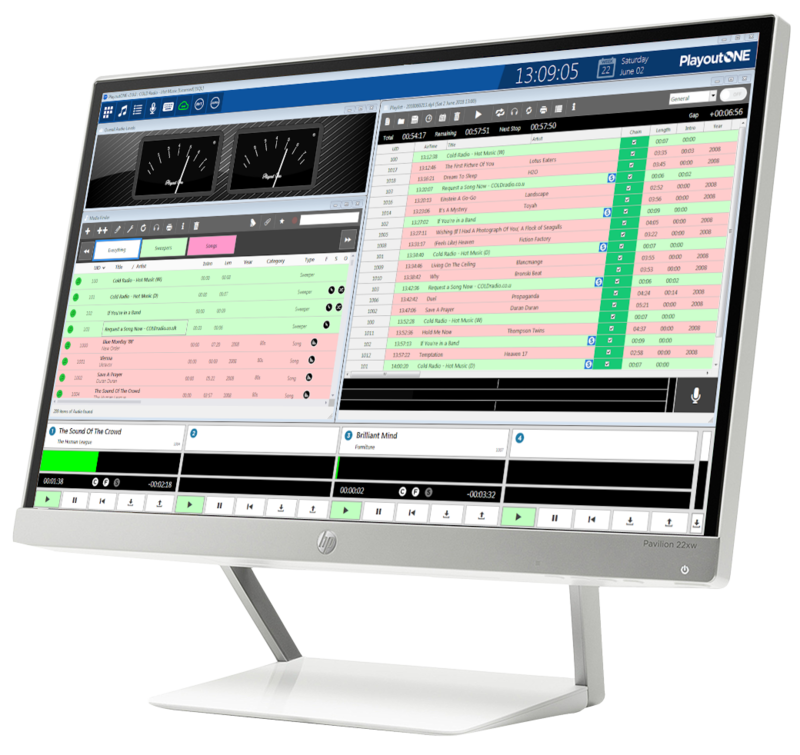 If your needs run to splitting your programming for content across a network of stations or even if you want to simulcast with alternate branding then PlayoutONE will allow you to do this with ease. 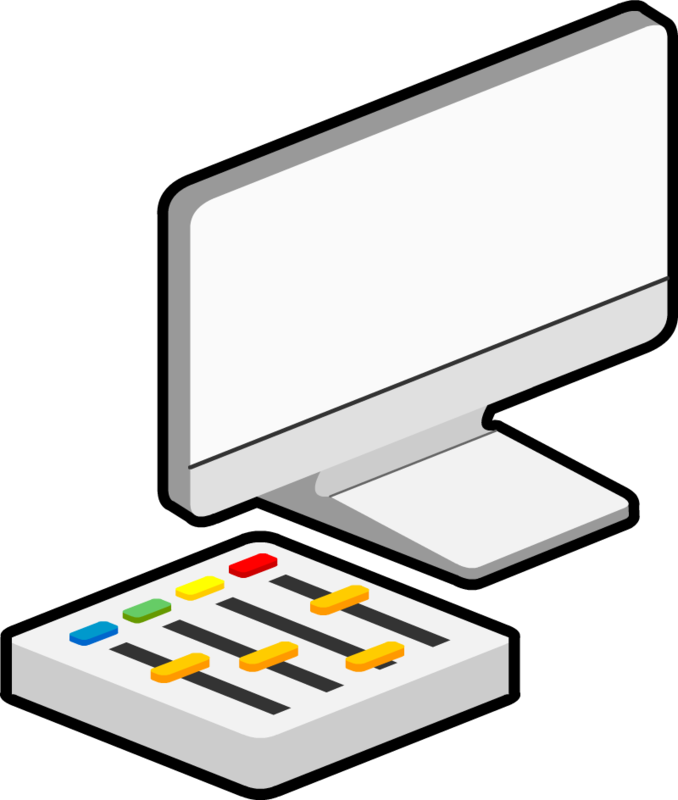 These days a lot of stations are looking for ways to get split content and programming easily and within budget. Until now you would have to spend a small fortune on getting an expensive play out system to allow you to do this. The budget end of the market just didn’t have this ability, and those that did were complex to set up and didn’t come with any tangible help or support. Yes, PlayoutONE, even with its modest price tag, brings you the power of split and networked programming at no extra cost and thanks to the way it works you can run your split programming on the same network or even across the internet with absolutely no delay. Split programming at it’s simplest level works on the premise of a Master telling Slaves connected to it what to do. The Master fires commands to the Slaves and they respond accordingly, in most cases, by playing audio that they’re instructed to play. Commands can come from the play list or from Quick Keys. In the example here the Main Studio is the Master and there are two Slave computers, all running PlayoutONE. One Slave is for FM specific content like spots, promotions and production. The other Slave is the same but for DAB. The black dotted line shows commands being fed to the Slaves from the Master. The red dotted line indicates the audio feed. 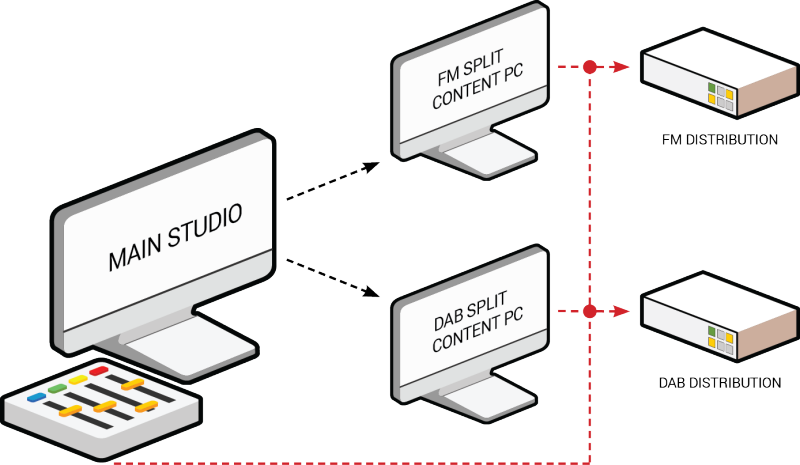 The Main Studio, would supply the main, non-split audio, like the presenter and the music, but when it’s time for the split content, it would simply wait until the FM and DAB content has completed. It would then pick up seamlessly and all audio would be mixed at the point of distribution.